Out of 86 candidates around the world, Miss Venezuela Gabriella Isler was crowned as Miss Universe 2013 (62nd Edition) during the coronation night held in Crocus City Hall in Moscow, Russia on November 9, 2013 (Saturday). Miss Spain Patricia Yurena Rodriguez won as first runner-up. 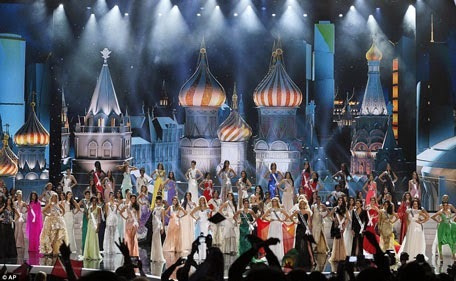 Russia hosted the Miss Universe pageant for the very first time in the pageant's 62-year history. Mel B (America's Got Talent) and Thomas Roberts (MSNBC Live) hosted the event. Judges during the final telecast include: Aerosmith singer Steven Tyler, super model Anne Vyalitsyna and flamboyant Russian pop king Filipp Kirkorov.